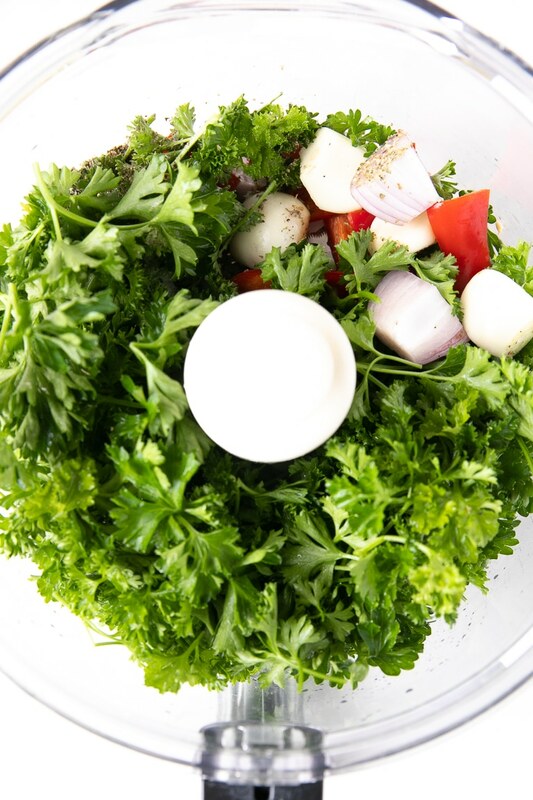 Originating in Uruguay and Argentina, Chimichurri is made with a mixture of fresh minced parsley, garlic, red wine vinegar, oregano, and olive oil. 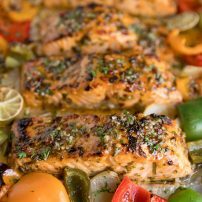 Learn how to make this delicious and authentic 5-minute Chimichurri Recipe to serve with all your favorite fish, chicken, or steak recipes. Originating in Argentina and Uruguay, Chimichurri is a condiment that is typically served brushed, basted, or spooned onto food as it cooks. It may also be served on the side or used as a marinade (because, trust me, best marinade ever). Of course, there are several non-authentic versions of this condiment sweeping through the internet. Versions which include cilantro…and cumin…and lime juice. Although I’m sure that this version of chimichurri is delicious (because those are, after all, a few of my fav ingredients! ), it is not authentic. You’ll notice that I did stray from traditional and authentic Argentinian chimichurri by adding a shallot. 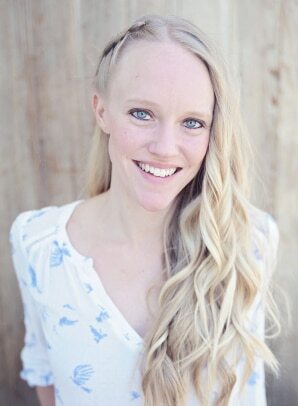 You may choose to add it in there or leave it out- entirely up to you. I have made this recipe both ways and I find that even with the strong flavor typical of shallots, they’re pretty comparable in taste. Yes! in moderation. 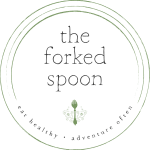 As with most condiments (like peanut butter or ranch dressing), it’s never a good idea to eat the whole bottle or batch of something in one sitting. The same applies to this Chimichurri recipe. Although it is filled with healthy ingredients like parsley and garlic, the base is olive oil. All oil, no matter the source, is crazy high in energy (translation- high in calories), so it’s best to enjoy in moderation. 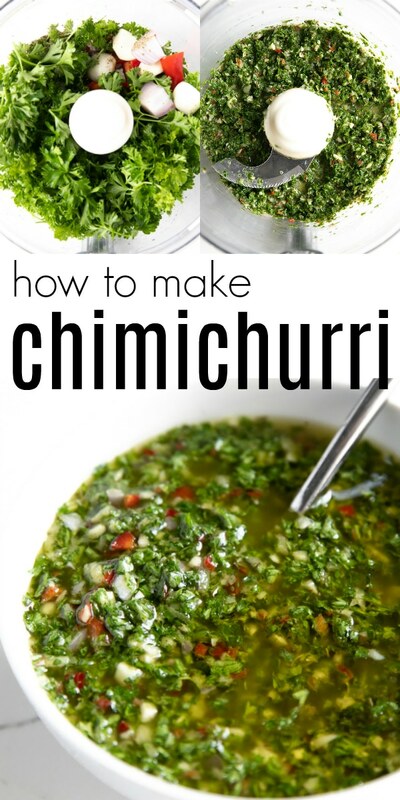 How do you make Chimichurri Sauce? 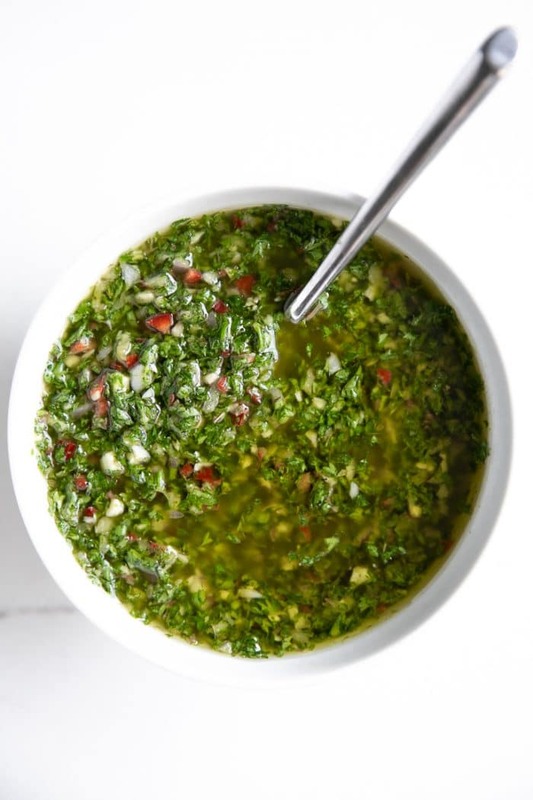 One of the easiest condiments in the history of food, chimichurri takes just FIVE minutes and requires no cooking at all. To help make your life a little easier, I do recommend using a food processor to get the parsley and garlic chopped super small. Add everything except for the extra virgin olive oil to the bowl of a food processor. Process until finely minced (take care not to turn it into a thick paste from over processing). Transfer the mixture to a clean bowl and pour the olive oil over the mixture. Gently mix to combine. Allow the Chimichurri to stand for 15 minutes, time permitting. What to serve with chimichurri? 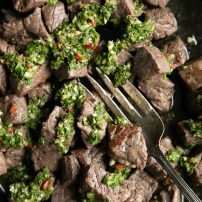 Chimichurri was the traditional condiment to serve with steak. And it still is! You guys, ALL steak loves being topped with or marinated in chimichurri. 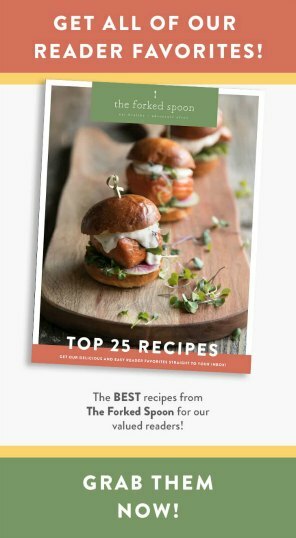 But that’s not all…chicken, shrimp, fish all love this chimichurri recipe, too! But what about some less obvious foods to serve with chimichurri? Can you make Chimichurri ahead of time? Absolutely! Should you decide to make your chimichurri ahead of time, store it in an air-tight container with a thin layer of oil on top. 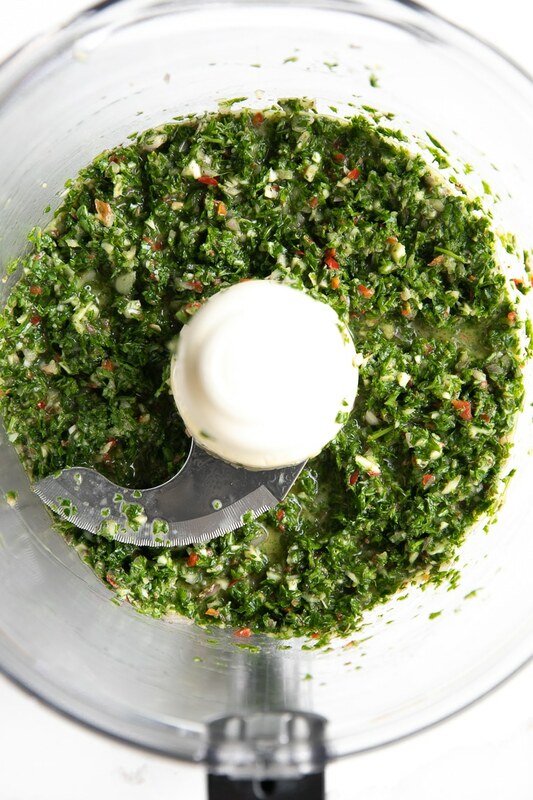 Now, some people say that chimichurri is best when enjoyed the day it is made, while others say it is better once the flavors have had the night to blend. My opinion? 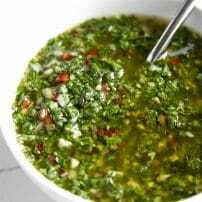 Chimichurri tastes best the day you make it. Best after it has hung out for 30 minutes or so, but certainly not a deal breaker. A night in the refrigerator doesn’t make a huge difference except that the parsley tastes like it may have lost a little of its freshness (probably because it has). Day three and day four chimichurri continues to lose its appeal, largely due to that parsley, so I recommend enjoying within 1-3 days. Can you freeze chimichurri? I have heard that some people will freeze their leftovers in ice cube trays, but I have not tried this personally. 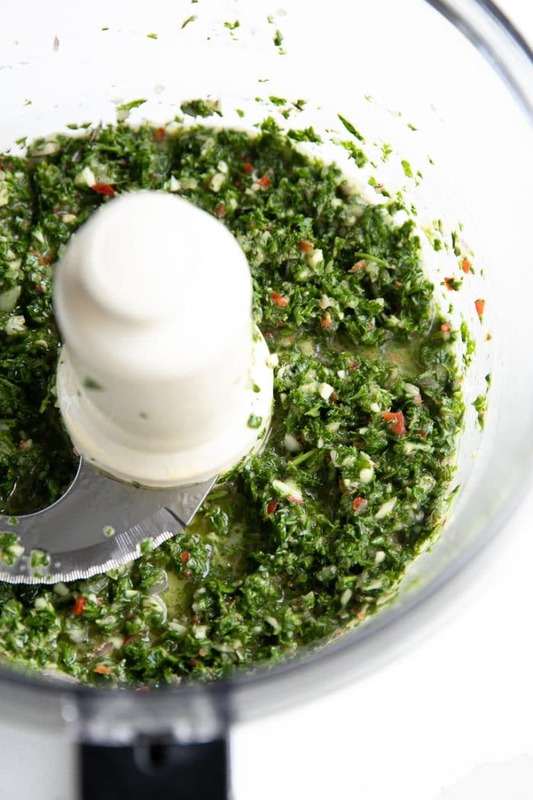 If you try making this Chimichurri Recipe, please leave me a comment and let me know! I always love to hear your thoughts. DON’T FORGET TO PIN AND SHARE THIS EASY CHIMICHURRI RECIPE AND ADD IT TO ALL YOUR FAVORITE CHICKEN, STEAK, AND FISH RECIPES! 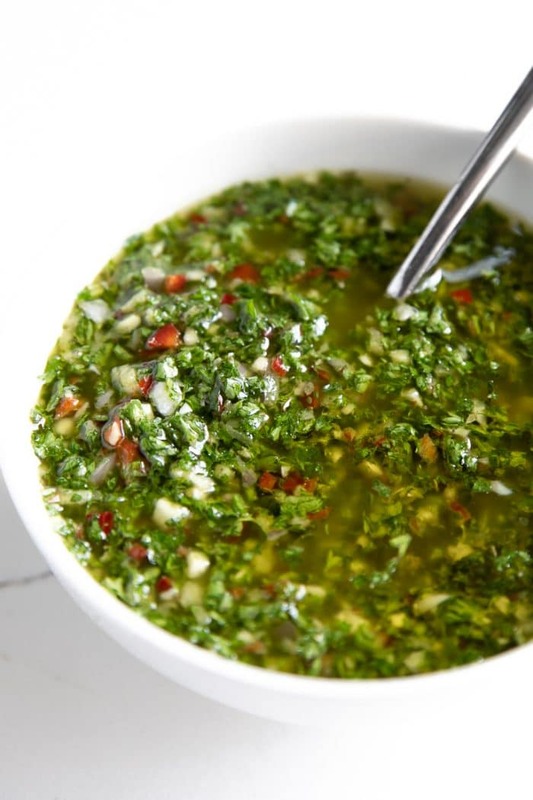 Originating in Uruguay and Argentina, Chimichurri is made with a mixture of fresh minced parsley, garlic, red wine vinegar, oregano, and olive oil. 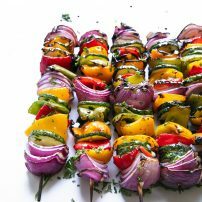 Serve over your favorite grilled meats and vegetables or use as a marinade! Enjoy!